Ice sculptors from Sand In Your Eye meet Santa, but are they on the nice list? 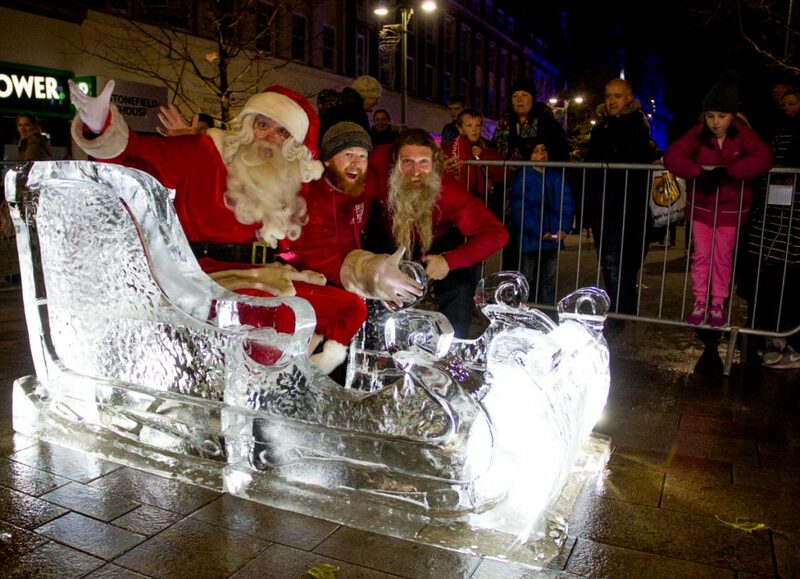 Our ice sculpture sleigh has been a popular theme for quite a few years now since it’s debut in Bradford. We were really happy to bring this event to Hull. 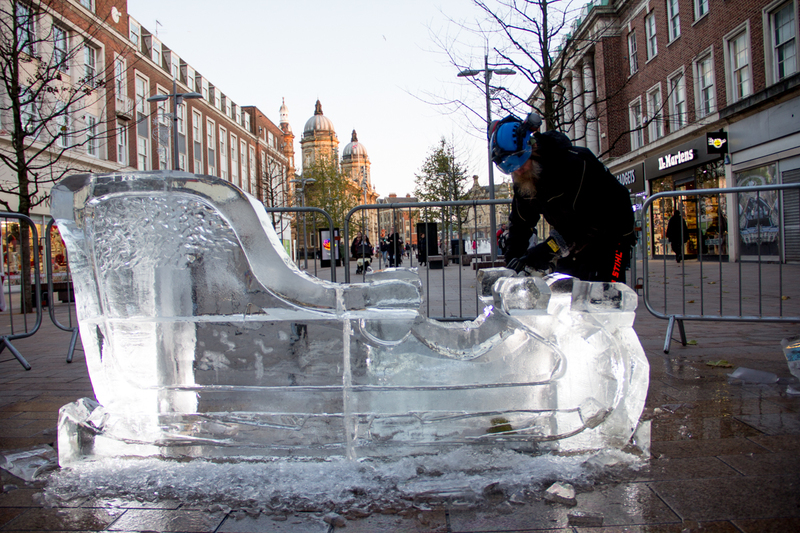 Hull has had some really amazing events and festivals during it’s year as the City Of Culture, so to be part of it was wonderful. 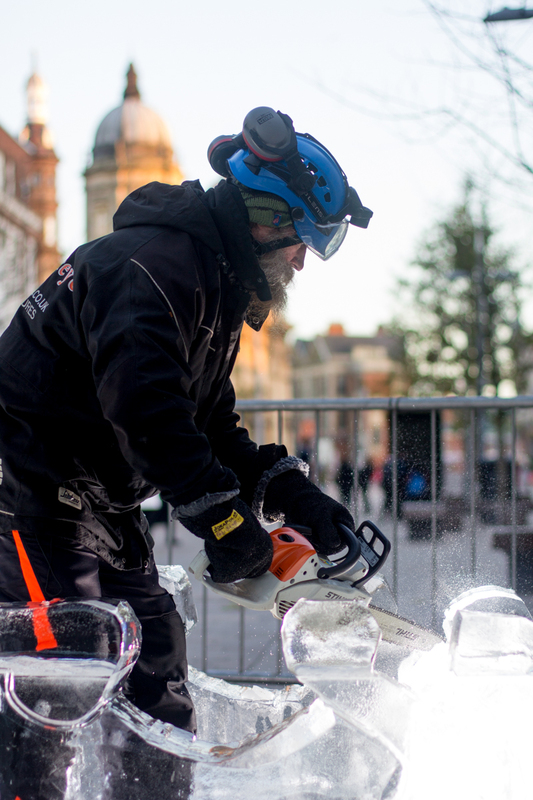 Our Yorkshire ice sculptors, Jamie and Rich headed over to Hull from Hebden Bridge to carve the ice sleigh live. 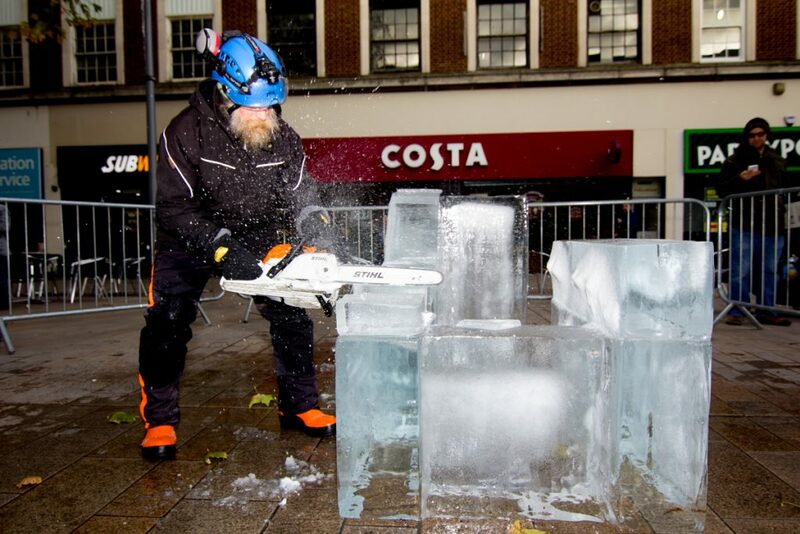 Live performances with ice sculptures are really fun to do. Making a sculpture in a few hours is a challenge, but definitely a good one. It’s lovely to let people watch how we make them and generally warmer than working in our ice studio in minus 15! 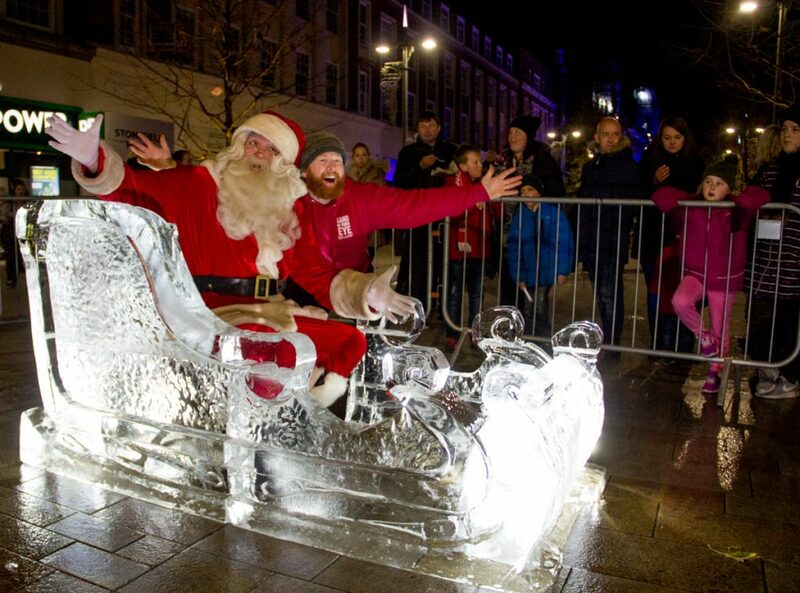 Along with the live carve there was also a visit from Santa too! 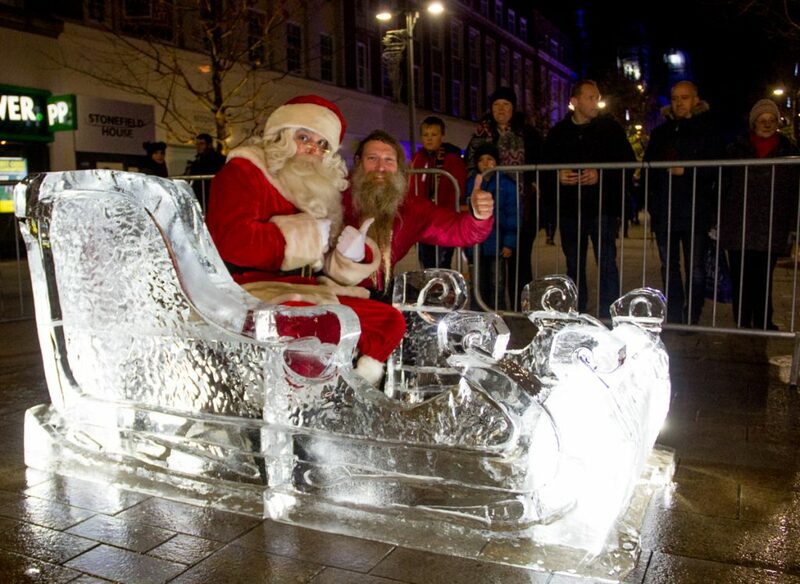 Once Jamie and Rich had finished the ice carving, Father Christmas sat in his new sleigh of ice. 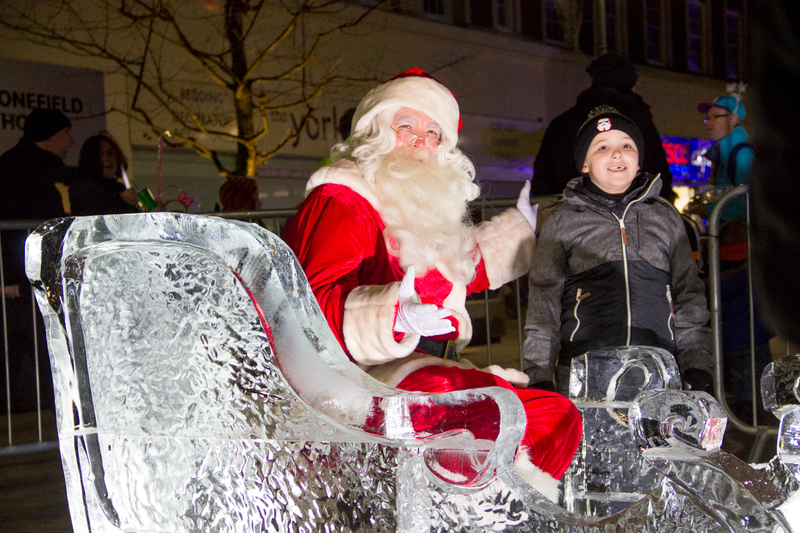 Children had their photo taken with him in the ice sculpture and told him what they wanted for Christmas. Jamie and Rich had a quick word with him too, but have they been naughty or nice this year?!!!! Thank you to Hull City Council for all of their help, it was lovely to be part of your Christmas events. 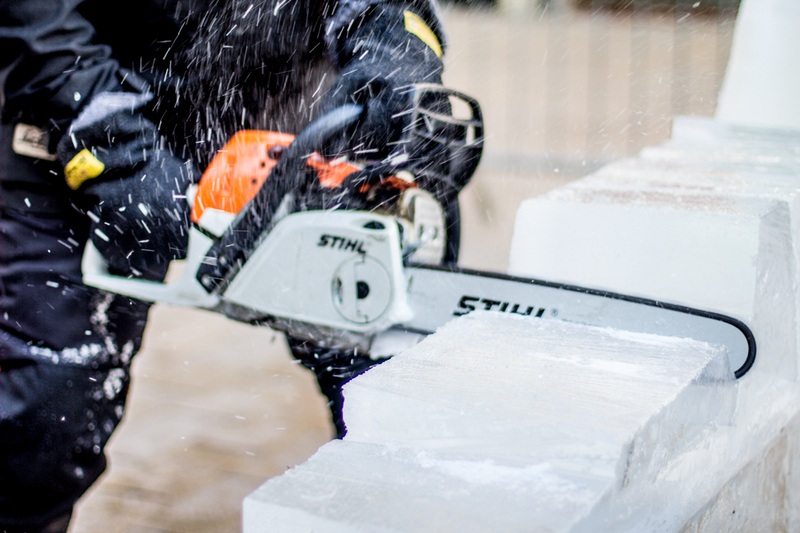 The best way to visit Santa. 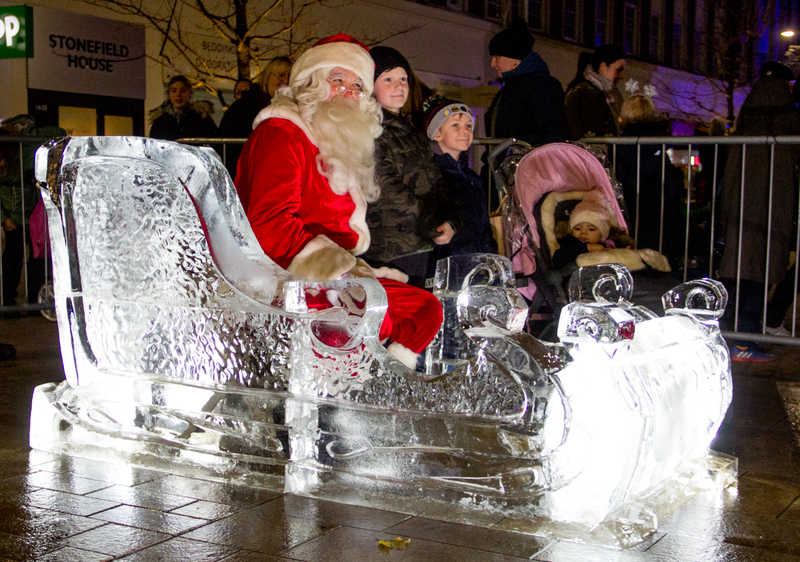 In his ice sculpture sleigh.